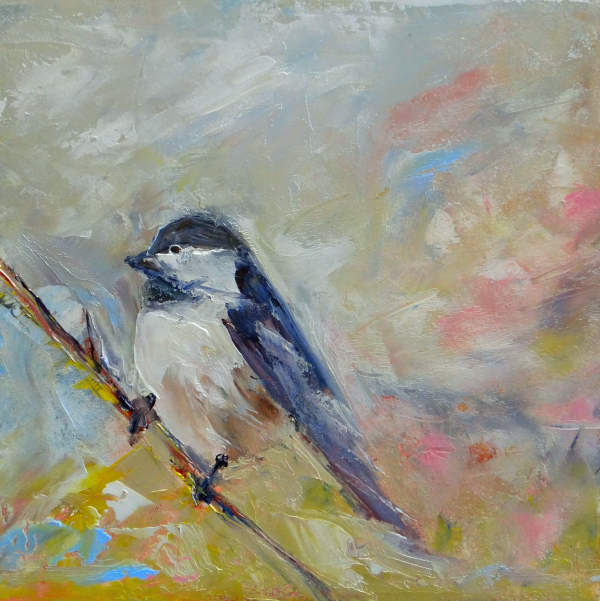 diana lynn's painting a day: Out On A Limb. Free style. Except for a few spots, I used only a palette knife. I like it, in a smeary sort of way. I also suddenly have the urge to bake and frost a cake.